Naanum Rowdy Dhaan (NRD), the upcoming Vijay Sethupathi starrer is directed by Vignesh Shivan of Poda Podi fame. The film is much expected as the songs and teaser have increased the curiosity levels of the audiences. NRD features Nayanthara as the lady lead and the beautiful heroine has dubbed for her role which has in fact added much value to her character as seen in the teaser. It is also reported that NRD is the 50th film of the actress. The latest information that movie buffs have been waiting for, regarding NRD is finally out. The film will be releasing on the 21st of October as informed by the production house Wunderbar films on its microblogger. 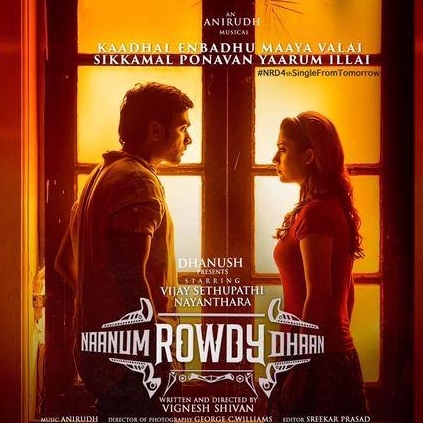 It says, “#NaanumRowdyDhaan will release on the 21st of October in over 475 screens”. Vikram’s 10 Endrathukulla is also hitting the screens on the same day and it looks like an interesting Dussehra holiday season for the movie buffs. People looking for online information on 10 Endrathukulla, Naanum Rowdy Dhaan, Vijay Sethupathi, Vikram will find this news story useful.